In an active household, the buildup of mildew and odor from well-used sporting gear, clothes, shoes, garbage cans, etc. can be more than a nuisance ▬ it can also cause skin conditions. There are many odor-masking products on the market today, but most of them merely cover up the odor and do little to address the moisture or the growth of germs. O-Liminator inhibits 99% of bacteria, including staph, E-coli, and MRSA. While great for sports related items such as gym bags, lockers, shoes, and more, O-Liminator can also be an asset around the home, to help rid odors associated with pets, garbage cans, musty closets and damp basement areas … even cars or other vehicles. 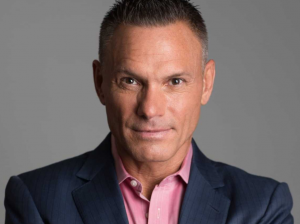 As part of its DRTV campaign with AsSeenOnTV.pro, O-Liminator LLC will be appearing in 30 and 60 second spots set to air nationwide and feature the original Shark himself, Kevin Harrington. 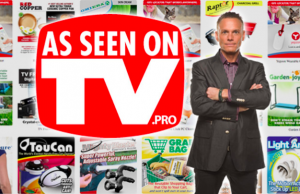 AsSeenOnTV.pro is comprised of an award-winning team of producers, writers, videographers, and editors as well as industry veterans dedicated to finding the latest, most innovative products and ideas, and putting them on the DRTV map.